Meshkat Community (مجتمع مِشكاة) amplifies Arab voices for social inclusion in response to online hate, violence and polarization. Meshkat Community (مجتمع مِشكاة) is an initiative launched by PeaceGeeks in Jordan in 2017 which strengthens community cohesion and constructive dialogue in the Middle East North Africa (MENA) region by building the skills, networks, knowledge and action of citizens. 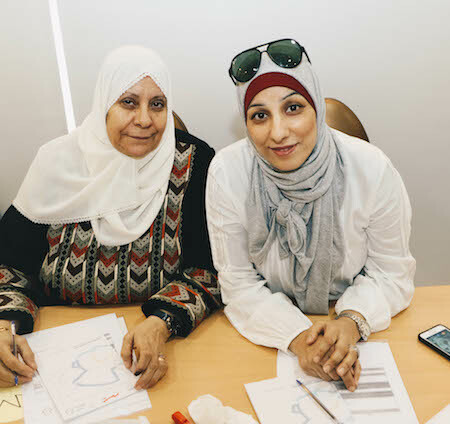 Our mission is to increase creative and peaceful citizen engagement that challenges hate, violence, extremism and polarization to reduce community vulnerability in the MENA region. 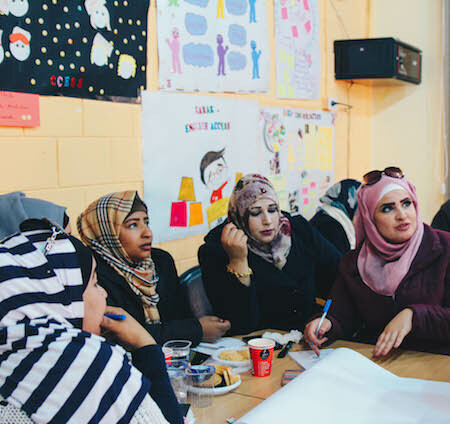 Based in Jordan, Meshkat Community programming includes workshops, incubation programs, collaborative networks and online engagement for community members — local artists, activists, digital content producers, religious scholars, innovators, women, youth and more. We enable citizens to strengthen local understanding and strategic communications practices that respond to the challenges of hate, violence, polarization and extremism in their communities. We amplify access to content that promotes social inclusion and convene content producers to develop innovative content that addresses their communities’ vulnerabilities. We cultivate networks to strengthen and sustain collective action on challenging hate, violence, extremism and polarization. Meshkat (مِشْكَاةٌ) is a Arabic word meaning the ancient place in the wall where people used to place the lantern in old Arabic houses. Meshkat can also refer to the window, pushing darkness, or the light. Meshkat is intended to represent the enlightening of people and the Jordanian culture, creating room for the introduction of new ideas that produce positive change towards peace. Digital tools, social media, gaming, bots, videos and misinformation play an increasingly prominent role in creating and amplifying existing social divisions and inciting violent actions. Despite some creative and effective online counter-messaging efforts by Arab youth and independent content producers, few resources have been dedicated to learn from these efforts or promote more media that curbs harmful narratives. Our goal is to prevent the continued escalation of social divisions and online violence by supporting the effective development and visibility of locally-produced content that strengthens constructive dialogue and creative responses to intolerance and hatred. These workshops facilitate open dialogue among citizens in under-resourced, rural and marginalized communities to deliberate local challenges and responses. 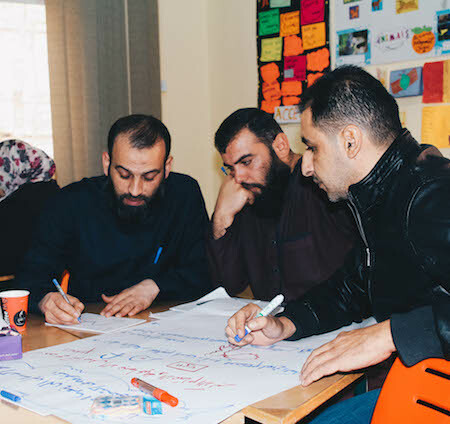 These workshops equip content producers, activists, community-based organizations and civil society organizations with the skills, resources and networks to create and amplify alternative narratives. Meshkat Community will create a YouTube series that focuses on telling stories of cohesion, understanding and acceptance across a range of demographics and communities in Jordan. Meshkat Community accepts 4 - 6 artists per year, who are funded and mentored to create art — fine arts, music, videos, performing arts, creative writing and more — targeting various themes of peace and prevention of extremism. The annual Meshkat Peace Awards recognize communities and organizations making outstanding contributions to the creation of content promoting critical, creative thinking and constructive dialogue to strengthen social cohesion. 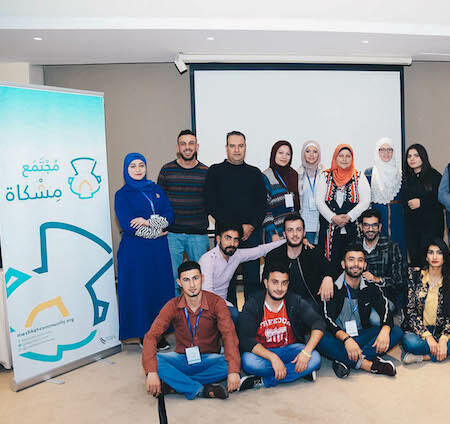 The DPYN provides young Jordanians between 14 to 24 years old with the means, tools, skills and knowledge to meaningfully engage in digital contributions to peace in safe, positive and responsible ways. Developed by alliances within and across local communities, Joint Action Plans promote common objectives through community based activities, digital campaigns, awareness campaigns and capacity building workshops for women and youth. The Meshkat Community website aggregates content promoting social cohesion in the MENA region, and creates a digital hub for people to share their content, observations and reflections on effective response to harmful online narratives. Meshkat Community creates, curates and disseminates content consistent with the objectives of Meshkat Community through Facebook, Twitter, Instagram and YouTube to inspire online citizens to promote social inclusion and challenge hate. Meshkat Community is proudly funded by the Government of Canada. 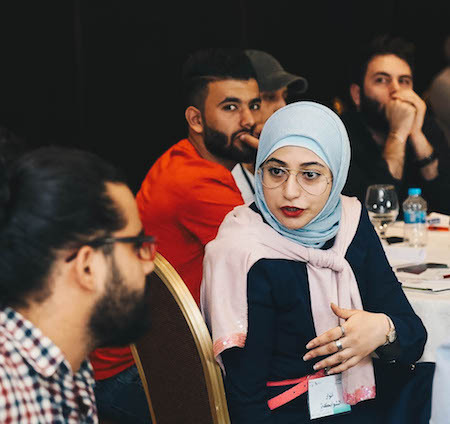 Please consider a gift to help PeaceGeeks expand our impact in Jordan and to other countries in the MENA region!